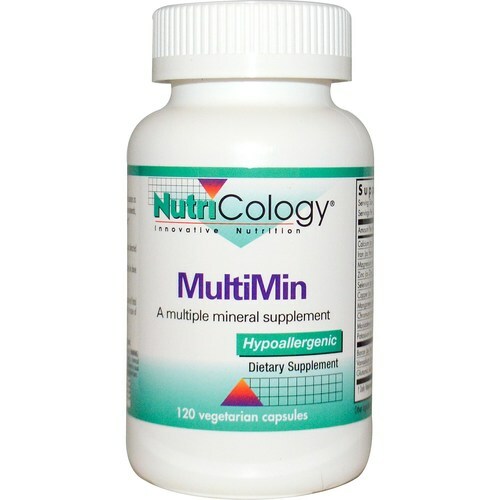 NutriCology's classic mixed mineral formulation, emphasizing hypoallergenic sources as developed by Stephen A. Levine, Ph.D., MultiMin includes minerals known to be important for metabolism, and at levels that are physiologically significant. 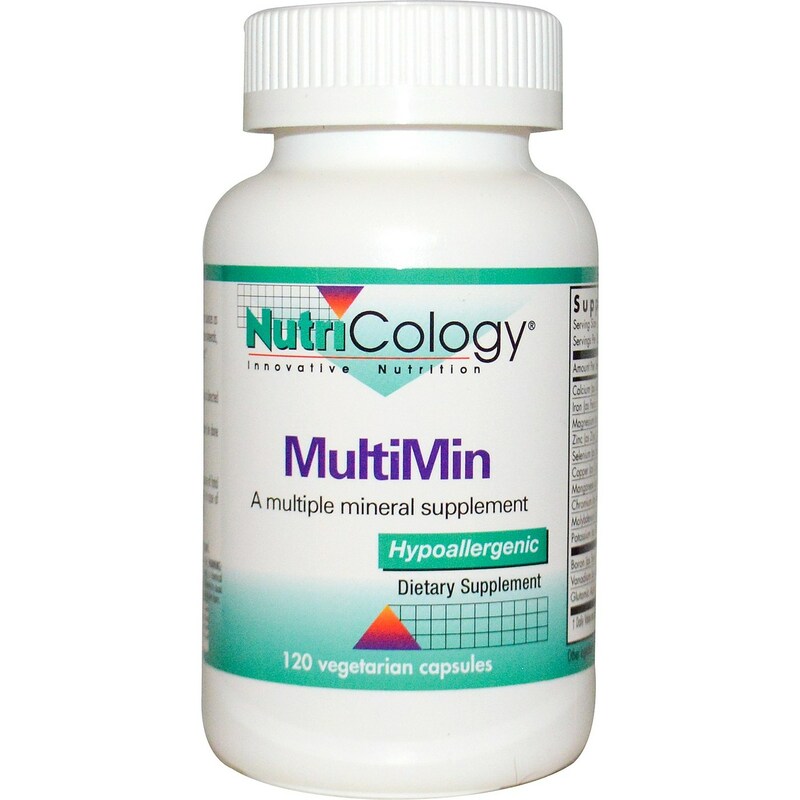 MultiMin provides macrominerals, trace minerals, ultra-trace minerals, and minerals likely to be proven essential. 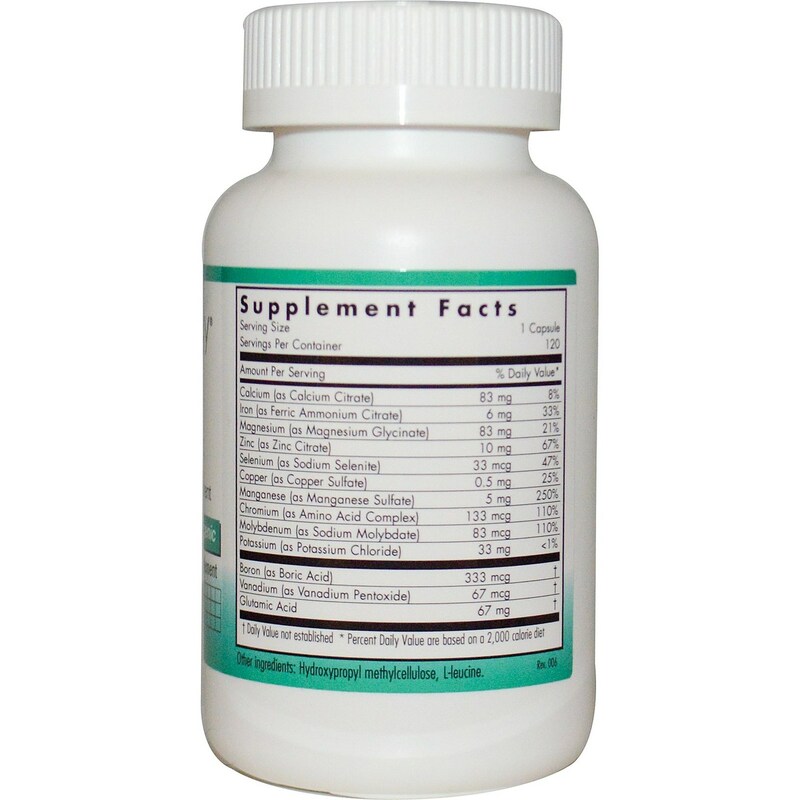 Also included in MultiMin is glutamic acid, which is a mildly acidifying agent to aid with absorption. Advertências: Accidental overdose of iron containing products is a leading cause of fatal poisoning in children under 6. Keep this product out of reach of children. In case of accidental overdose, call a doctor or a poison control center immediately. Recomendações de uso: As a dietary supplement, 1 capsule one to three times daily with meals, or as directed by a healthcare practitioner.